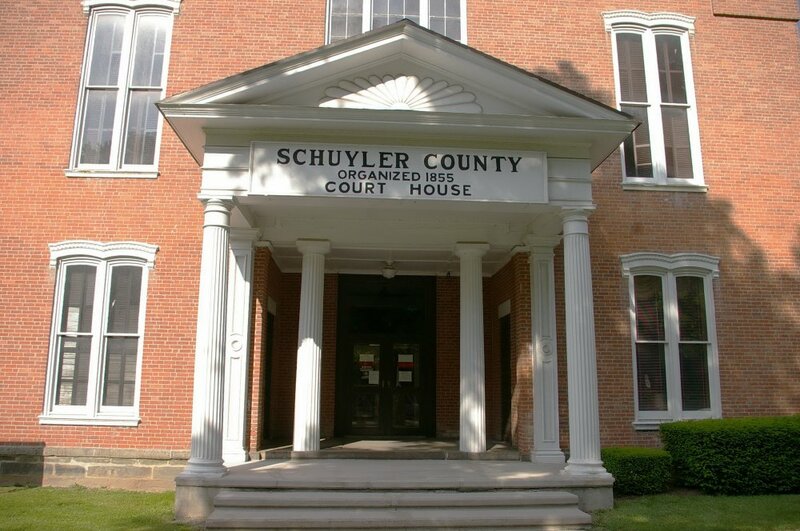 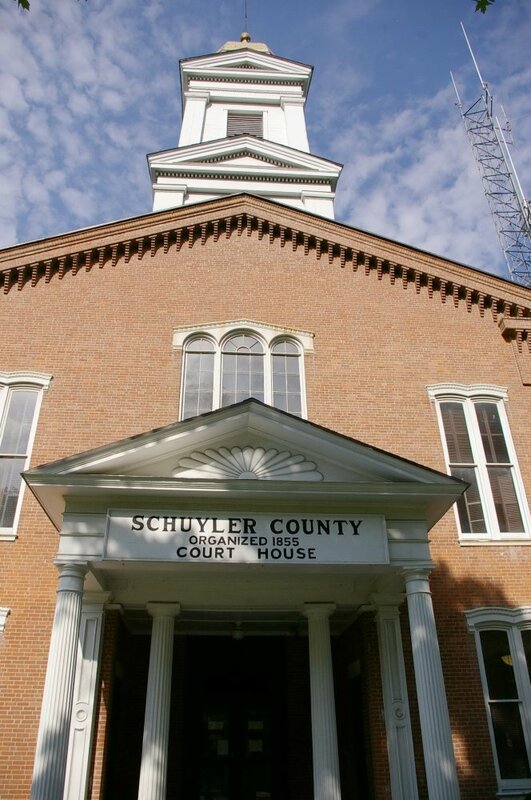 Schuyler County is named for Philip Schuyler, who was a soldier in the American Revolutionary War and later a United States Senator from New York. 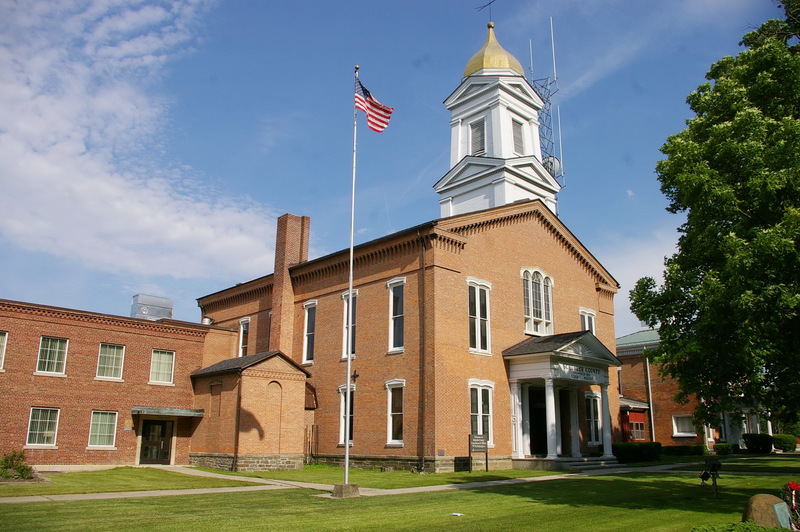 Description: The building faces west and is a two story red colored brick structure and is part of the three building complex with the Clerk’s Office and Sheriff’s Office.. 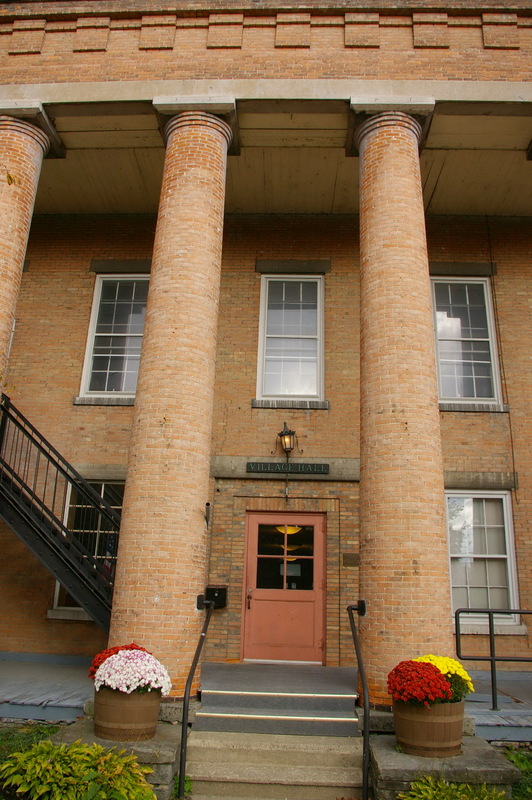 The west front has a small portico supported by four columns with pediment above. Above the front section is a high square white wood cupola with gold dome at the top. 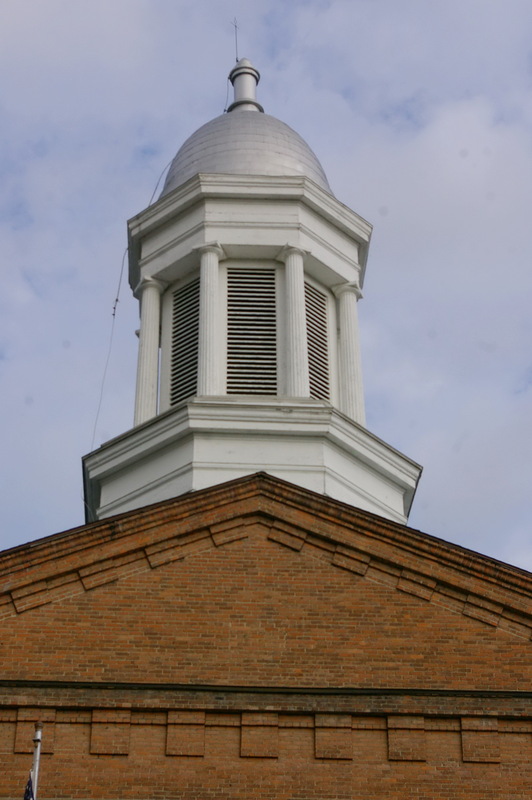 The roof is hipped. 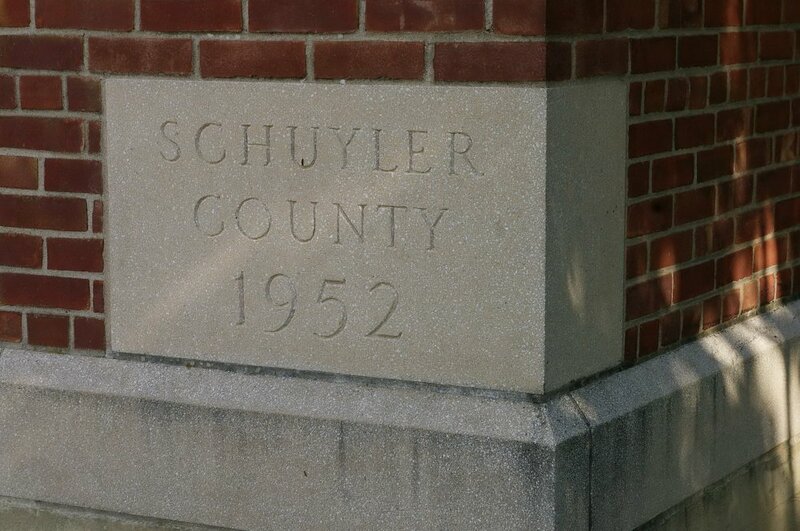 An addition was added in 1952. 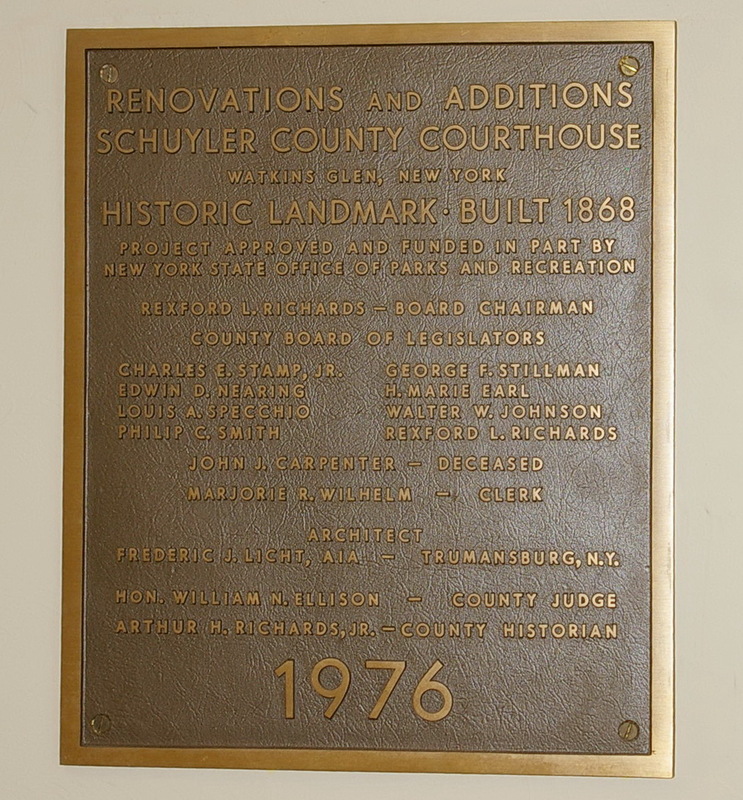 The building was renovated in 1973. The architect was Frederic J Licht. 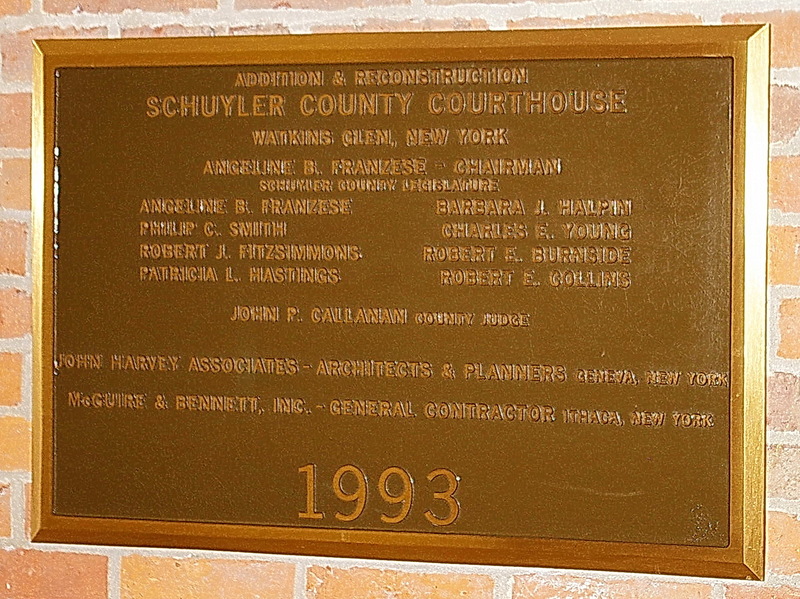 A further addition was added on the north side in 1993. 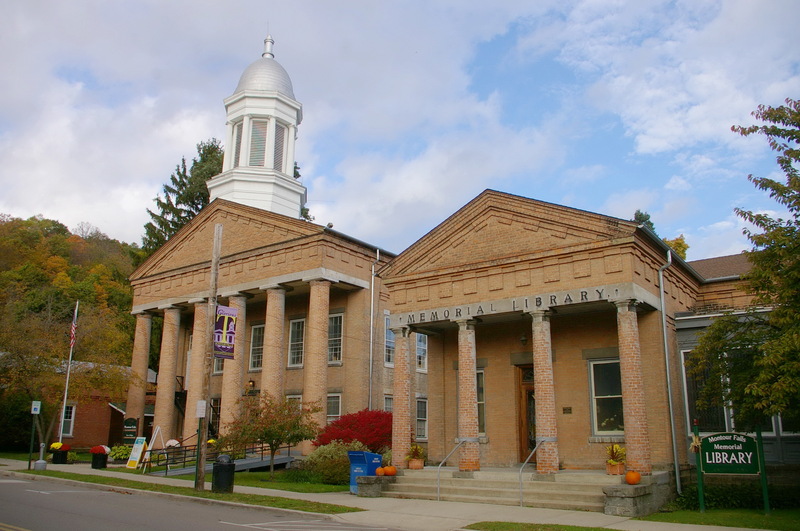 The architect was John Harvey Associates of Geneva and the contractor was McGuire & Bennett of Ithaca. 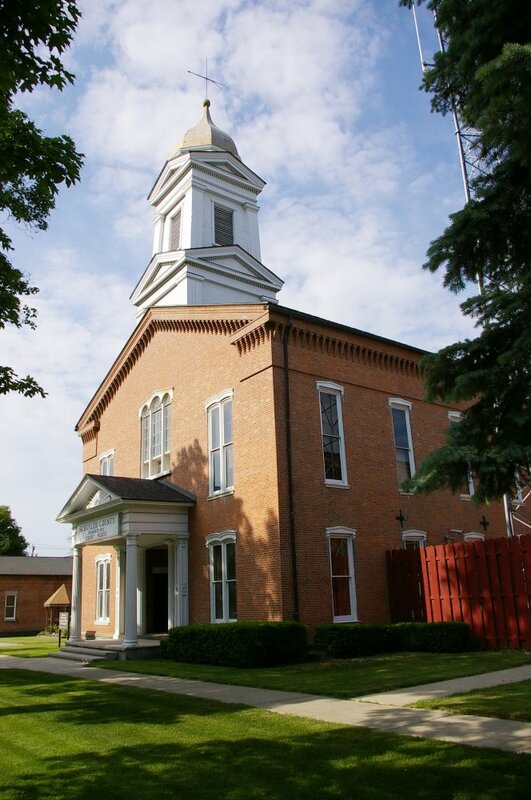 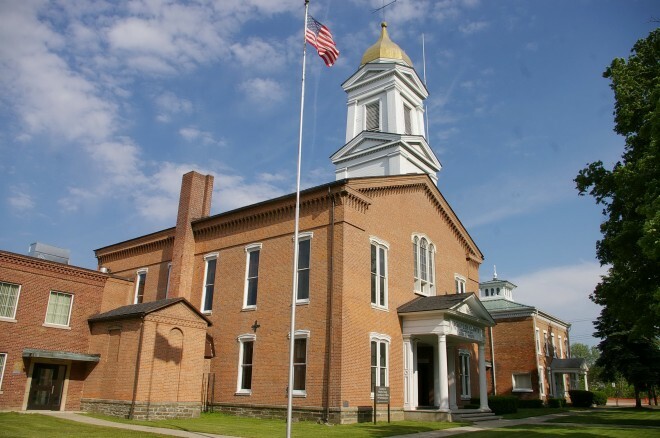 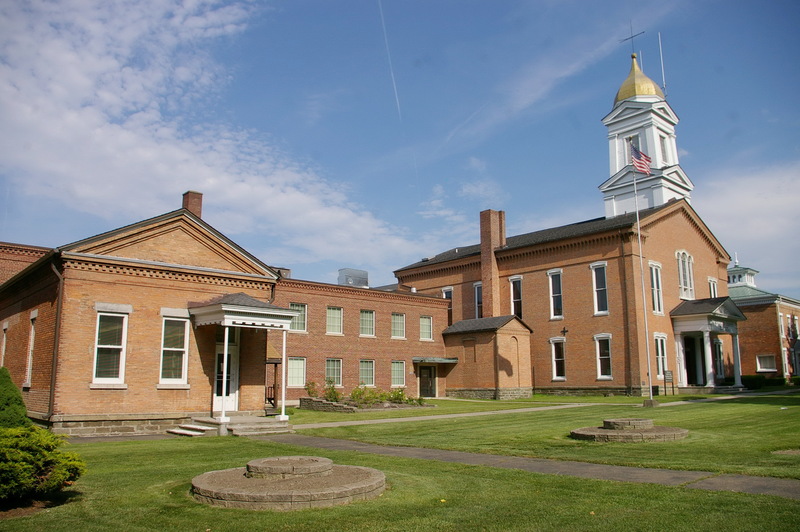 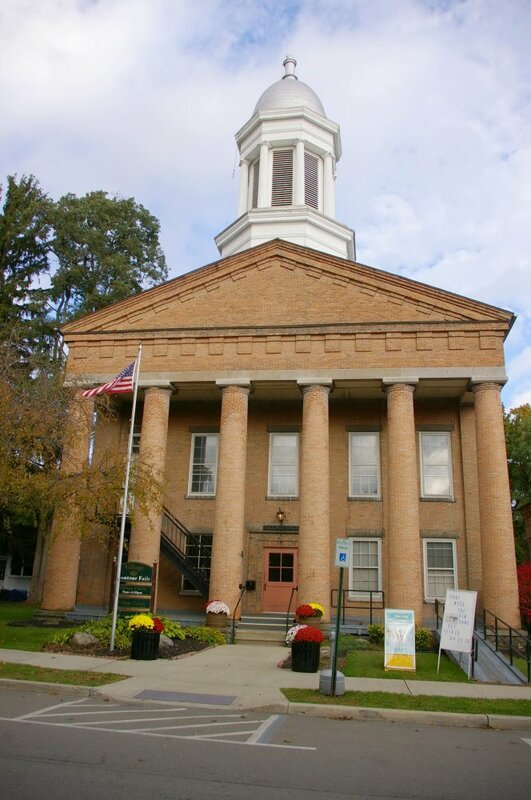 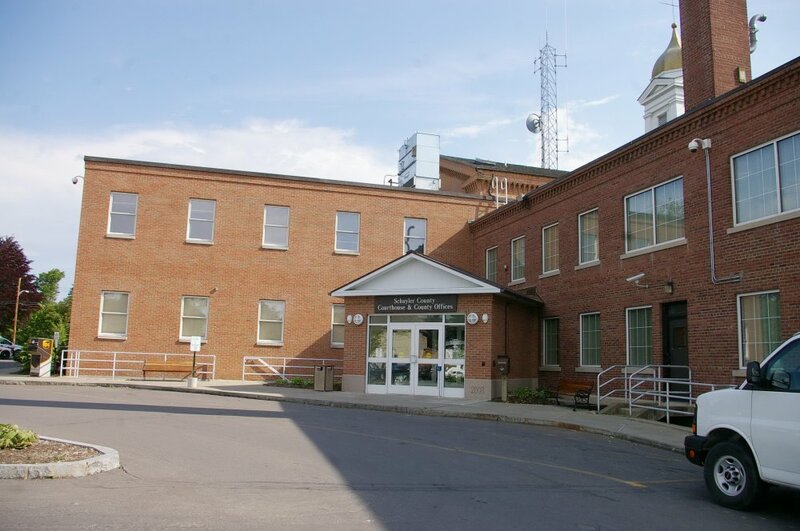 Note: After a protracted legal battle with Havana ( Montour Falls ) for the county seat, interests in Watkins won out and the clerk’s office and jail were added and completed by 1868. 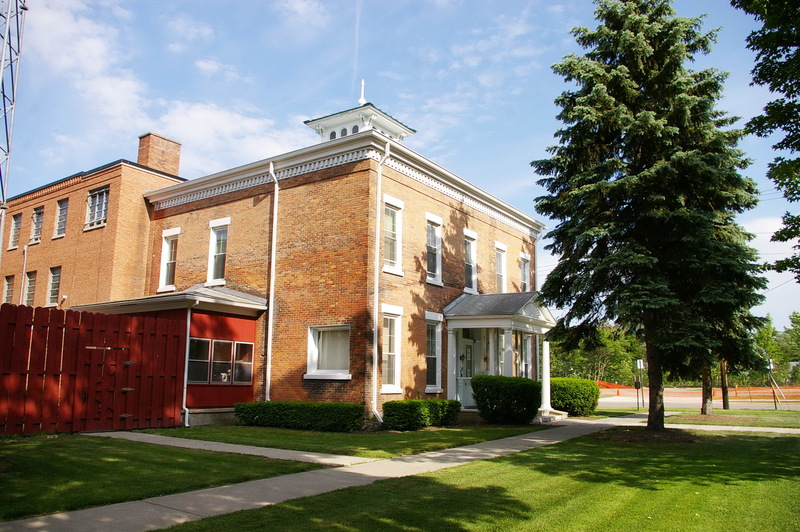 Description: The building faces southeast and is a two story red colored brick structure. 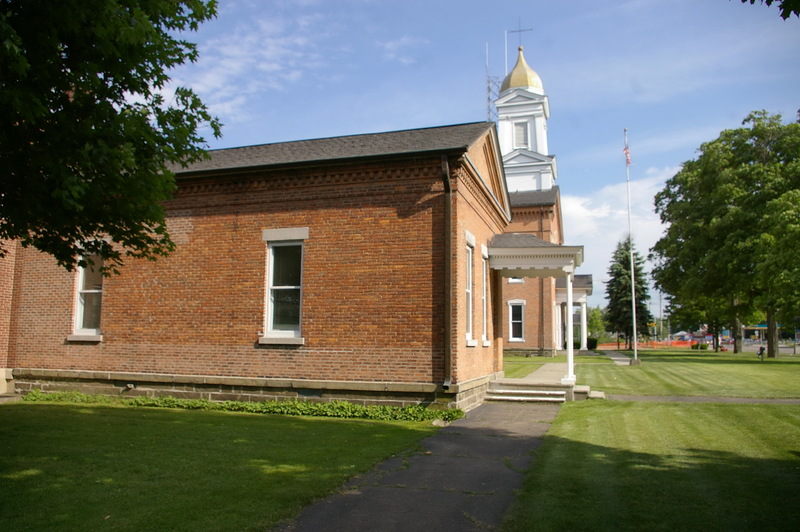 The building is constructed of brick, the structure is prostyle tetrastyle. The front has a large portico with six columns rising to a pediment at the roof line. 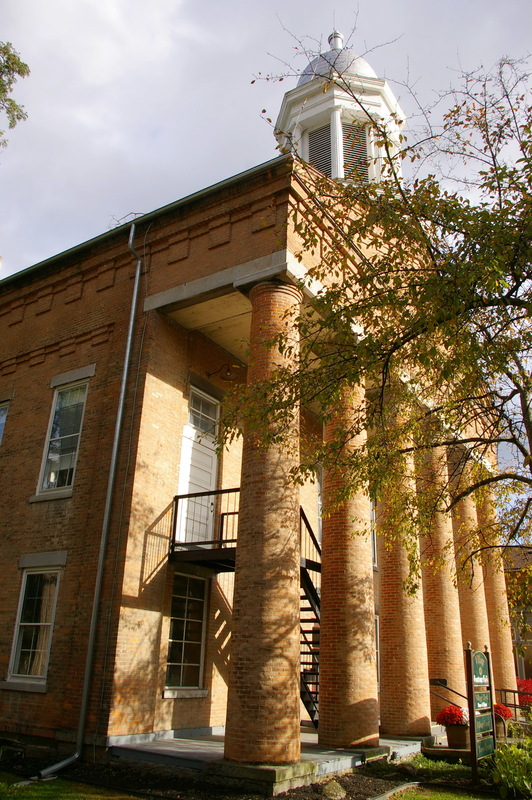 The original door and sidelights, as well as Grecian styled hanging lamps, all contribute to the facade. 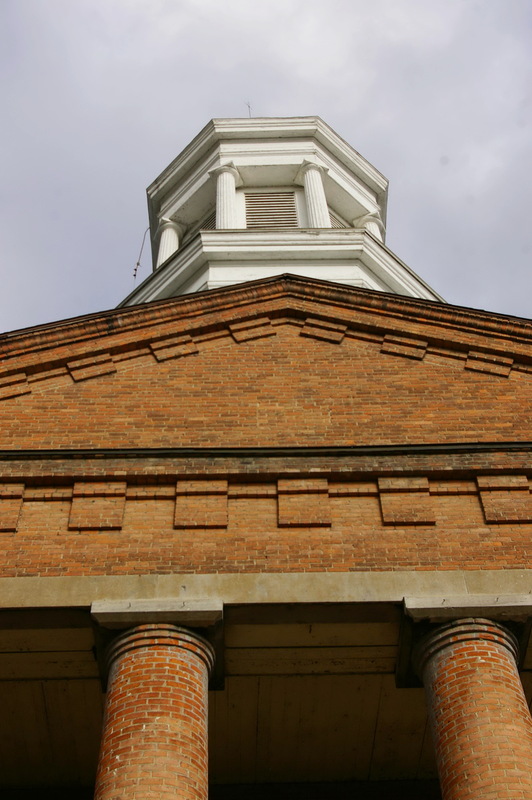 The most conspicuous is the octagonal wood frame cupola rising high above the building. 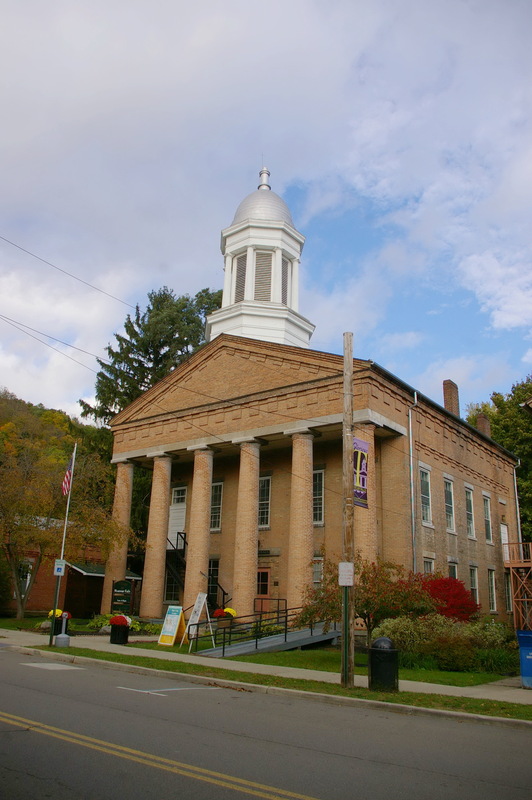 The building is now the Montour Village Hall.